Newt Gingrich received $157,291 in donations on this day. Newt Gingrich received $273,474 in donations on this day. Newt Gingrich received $377,123 in donations on this day. Newt Gingrich received $252,100 in donations on this day. Newt Gingrich received $90,610 in donations on this day. Newt Gingrich received $89,830 in donations on this day. 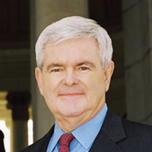 Newt Gingrich received $75,505 in donations on this day. Newt Gingrich received $60,192 in donations on this day. Newt Gingrich received $55,895 in donations on this day. Newt Gingrich received $18,300 in donations on this day. Newt Gingrich received $11,160 in donations on this day. Newt Gingrich received $52,450 in donations on this day. A Test of Leadership: Gingrich Repudiates Inaccuracies In SuperPac Ad. Will Romney Do The Same? Newt Gingrich received $44,875 in donations on this day. Newt Gingrich received $30,420 in donations on this day. Newt Gingrich received $32,315 in donations on this day. Newt Gingrich received $33,280 in donations on this day. Newt Gingrich received $6,800 in donations on this day. Newt Gingrich received $14,400 in donations on this day. Newt Gingrich received $21,530 in donations on this day. Newt Gingrich received $35,000 in donations on this day. Newt Gingrich received $28,520 in donations on this day. Newt Gingrich received $37,171 in donations on this day. Newt Gingrich received $11,700 in donations on this day. Newt Gingrich received $5,750 in donations on this day.